Breast cancer can start in your mouth?! Researchers say yes! Raise your hand if you floss and brush your teeth regularly. Every single one of you should have just reached for the sky because flossing and brushing isn’t just important for a winning smile, it’s also critical for your health. More on that in just a moment, but ladies I want to talk to you directly for a minute. I sure hope you had your hand up, because it turns out regular flossing and brushing could make the difference between a clean bill of health and a breast cancer diagnosis. Yes, that’s right breast cancer could start in your mouth! I know, it seems strange, but stick with me here. 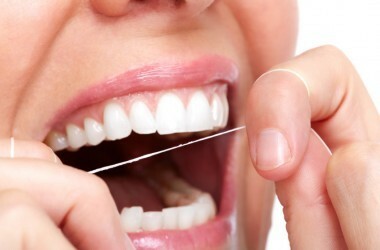 If you aren’t taking care of your gums you’re in danger of getting gum disease. You see our mouths are full of bacteria such as Streptococcus (the same bacteria that put the “strep” into “strep throat”), Tannerella forsythensis and Prevotella intermedia. And when you don’t regularly brush and floss that bacteria starts to form a sticky colorless plaque on your teeth called tartar. Left alone long enough this bacteria-filled plaque leads to the inflammation called gum disease. And it’s really quite common, with over 3 million cases in the U.S. every year. But it’s what happens next that’s really terrifying. That inflammation may start in the mouth, but it surely doesn’t stay there. It heads to other parts of your body where it can do major damage. The inflammation can encourage certain types of tumors to form and grow, including those breast cancer tumors I mentioned earlier. In other words, women with gum disease have a significantly higher chance of receiving a breast cancer diagnosis. In fact, according to a study in the journal Cancer Epidemiology, Biomarkers and Prevention, simply not taking care of those pearly whites sends your breast cancer risk shooting up by 6 percent! Smokers are at the highest risk, so while your adopting one good habit—regular flossing and brushing—go ahead and pick up a second one at the same time… not smoking. And guys, don’t think because we’re talking about breast cancer today you can skip out on the regular mouth care. We already knew that the inflammation from gum disease was linked to other chronic diseases. Not taking care of your teeth can send your risk for Alzheimer’s climbing in both men and women. Those same bleeding gums and bacteria put you at a much greater danger of having a stroke or heart attack too. 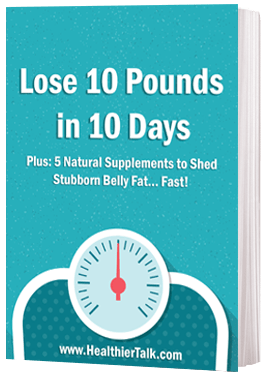 In fact, one study found that two of the bacteria strains I mentioned earlier–Tannerella forsythensis and Prevotella intermedia–could send your risk for a heart attack skyrocketing 35 to 53 percent. So ladies AND gentleman if I ask again tomorrow who flosses and brushes regularly I expect every single one of you to have your hand raised. After all, that couple of extra minutes every day won’t just give you a smile that will light up the room, it will keep that million watt grin around for many years to come. He’s also written 17 books, including “Prescription for Natural Cures” and The Natural Physician’s Healing Therapies which have now sold over 1 million copies. When he’s not busy sharing his knowledge of amazing alternatives to toxic mainstream therapies, Dr.Stengler practices what he preaches at his state-of-the-art Stengler Center for Integrative Medicine in Encinitas, California. What makes Dr. Stengler different is his diverse medical training in conventional medications and natural alternatives. This means he can combine the best of modern technology and traditional time-tested therapies, for safer, long-term treatments. Dr. Stengler completed premed studies at Mt. Royal College and the University of Calgary, and graduated from naturopathic medical school at the National College of Naturopathic Medicine in Portland, Oregon. 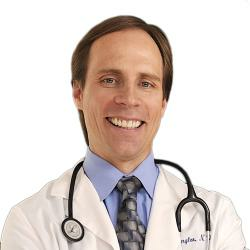 He is Board Certified in Integrative Medicine. Dr. Stengler lives in San Diego County, California with his wife and three children. He enjoys quality time with his family. His hobbies include several sports and theological studies.